This article consists of two parts. 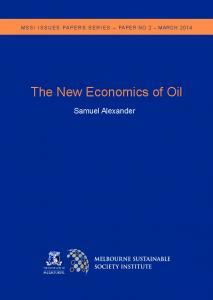 In part one, the author attempts to place the concept of New Structural Economics (NSE) within the framework of traditional macroeconomic state policy, i.e. within fiscal and monetary policy. Here the crucial problem stems from limitations in the expansiveness of both fiscal and monetary policy from the perspective of their negative impact on inflation rates, as well as from the capacity of the state to fund development-fostering initiatives from other-than-budgetary resources. Part two attempts, by describing how Polish economy developed over the years 1990–2016, to answer the following question: to what extent and in what scope, the process of such development exploited (either consciously or not) the concept of NSE? Indeed, the industrial policy resulting from that concept could be implemented using the EU’s financial aid, the idea of special economic zones (SEZ) and thanks to public capital funds, such as venture capital (PCF). Keywords: New Structural Economics (NSE), structural economic policy (SEP), monetary policy, fiscal policy, European Union (EU), special economic zones (SEZ), venture capital-based public capital funds (PCF). The lecture was delivered on 30 January 2017 in Warsaw University Faculty of Management at 1/3, Szturmowa street in Warsaw. This, however, may well come down to just a linguistic issue in the Polish language. I am quite positive about this, having served for some time as an advisor to the Minister of Economy for the establishment of SEZ. This is confirmed, among other things, by the statement, presented by the former President of the Managing Board of the National Bank of Poland, Professor Marek Belka, on a conference of the faculties of finance of Polish universities in September 2016: “The central banks’ monetary policy is only effective to an extent to which it supports expansive fiscal policy”. brings the risk of a crash or, at best, bogging down in the mud. Luckily, the driver is equipped with navigation system – resulting from the NSE principles – which enables him to choose the optimum route leading to the destination and to avoid traffic jams and other obstacles along the way. Anyway, as described, the model lacks one vital element for the car to start and be able to move on its way: it needs fuel. The fuel, of course, is represented by capital, labour and natural resources. These factors, however, aren’t entirely exogenous. The state has a significant influence on their availability and quality. Domestically available capital originates from the propensity to save, revealed by domestic businesses, and from the accessibility of credit which, in turn, depends on the central bank’s monetary policy and may also come from abroad. Nonetheless, capital costs money. The price to pay for capital is expressed as its interest rate and in the case of foreign capital, also the transfer of profits abroad. Then, the inflow of foreign capital determines relatively higher interest rates in the absorbing country, which is necessary to increase the attractiveness of foreign investments. Both the availability and the quality of labour resources may be regulated by appropriate types of state policy: concerning demography (e.g. in the form of family benefits); migration (possibility of emigration and immigration); education (at all levels of education: elementary, high and especially academic); and housing (which improves labour resources mobility). Among those factors, the availability of natural resources has most exogenous nature. However, as witnessed in many cases, too easy access to raw materials may have a corruptive influence upon the two former factors of growth. Actually, Poland exceeded that standard in 2013, which resulted in the country being subject to the European excessive deficit procedure. In 2014 Poland found itself on the threshold of exceeding the first prudential standard (55% GDP). This triggered the renouncement of the capital pension system that had been implemented since 1998 in the form of open pension funds (OFE). As a part of obligatory superannuation was supplying that system, this resulted in a serious gap in the repartition system which concerned all the current pensioners. This way the State had to subsidise the system while the open pension funds also invested in the government bonds. In February 2014 the government bonds portfolio amounting to EUR 38 billion was transferred to the State pension fund (PFE) – the move which enabled the government to compensate the value of the public debt by the same amount. As a result, the level of public debt decreased to 50.2% GDP. Since that time OFE could no longer invest in the government bonds and the contributions made on behalf of the insured were recorded upon their individual accounts in the PFE. Then, since 2017, OFE are going to be transformed into private pension funds (PFE) and for the insured the superannuation’s are going to become voluntary. The Author of this article used to cooperate with the advisor as a partner of Polish professional services company. 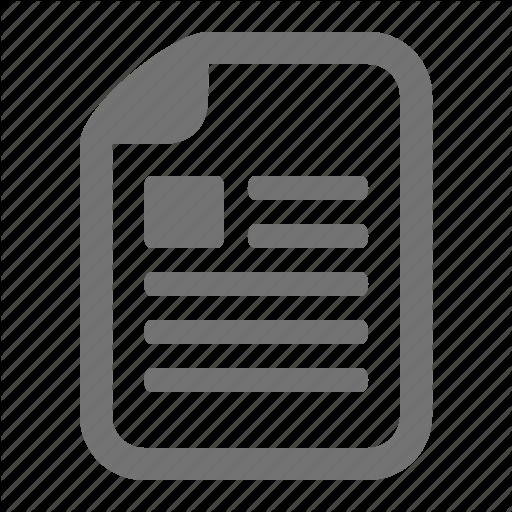 PDF carries on and consolidates the activities of such bodies created earlier on as: the Industrial Development Agency (IDA), Export Credit Insurance Corporation Joint Stock Company (KUKE), the Polish Investment and Trade Agency (PITA) and the Polish Agency for Enterprise Development (PAED). These are public funds of the private equity type (IDA) which support innovativeness, entrepreneurship and Polish business entities’ export. PDF’s scope of responsibilities includes financing upon commercial principles, collaboration in preparation and distribution of programmes in need of completion; implementation of development programmes adapted to the needs of business environment (enterprises and investors operating in the territory of Poland), of consumers and of the state (bodies of regional governments). However, considering relatively modest equity capital of both PDF and other development-oriented state agencies (PDF’s share capital amounts to EUR 0.3 billion) macroeconomic effects of their activities can hardly be expected to be really impressive. PDF’s largest investments include participation in the repurchase of PeKaO SA. bank from the Unicredit; investments (announced in 2017) in the financing of start-ups (EUR 0.25bbillion) as well as investments in the modernisation of Polish energy industry (EUR 1.2 billion). The activities of PDF and other development-oriented state agencies significantly supplements development-stimulating expenditure from the state budget, but this mainly occurs in the area of small and medium-sized enterprises. Also, the government counts on the joint participation of Chinese capital in the financing of a major project to build a central hub airport near Warsaw, under China’s intention to reconstruct the historical Silk Road. In conclusion to the final part of this article, I would like to quote some facts that manifest the growth experienced by Polish economy over the period of its transformation (Górski, 2015, p. 37). In the years 1993–2015 the average annual rate of economic growth in Poland was at 4.1%. It should be observed that not ab single year over that time ended with a negative development rate (recession) being recorded. More specifically, the rates of economic growth oscillated within the range between 7.0 in 1995 and 1% in 2001. Such rate of economic growth would have enabled Polish economy to double its GDP level over the period of 18 years, and indeed, Polish GDP increased in the entire period under analysis by 153%. The effect of catching up is evident as well. While in 2008 Poland’s per capita GDP accounted for 55% of the average per capita GDP in the European Union, in 2015 this was already at 69%, with 8.9 percentage points out of that being attributed by experts from the NBP to good use made of the Community funds. These estimations do not consider long-term infrastructural effects which will contribute in the future to the reduction of transaction costs. In the ranking of economies featuring the highest GDP Poland ranked 23rd, the effect of it being evident in July 2016 when the Prime Minister of the Polish Government was invited, for the first time ever, to the meeting of the G-20 summit in Hamburg. Bibliography ChÈdzyñski, M., Osiecki, G. (2017). Nasze bardzo socjalne pañstwo (Our Very Social State). Dziennik Gazeta Prawna, 25 April. CieĂlak-Wróblewska, A. (2017). Szybszy rozwój dziÚki unijnemu wsparciu (Accelerated Growth Thanks to the Community Support). Rzeczpospolita, 25 April. Colliers International. (2016). Potencjaï inwestycyjny. Specjalne Strefy Ekonomiczne w Polsce (Investment Potential. Special Economic Zones in Poland). Taken from: http://www.colliers. com/pl-pl/-/media/files/emea/poland/reports/2016/Colliers_Raport_Specjalne_Strefy_ Ekonomiczne_PL.pdf. Cukiernik, T. (2007). Prawda i faïsz o dotacjach z EU (What Is True and What Is False About the EU Subsidies). Taken from: http/tomaszcukiernik.pl. Górski, M. (2015). Makroekonomiczne skutki polityki fiskalnej i monetarnej w Polsce wb latach 1992–2015 (Macroeconomic Effects of Fiscal and Monetary Policy in Poland in the Years 1992–2015). In: A.Z. Nowak (ed. ), Gospodarka na rozdroĝu XXI wiek. KsiÚga jubileuszowa z okazji osiemdziesiÈtych urodzin Profesora Kazimierza Rycia. Warsaw: Warsaw University, Faculty of Management Press. Lin, J.Y. (2017). New Structural Economics and Industrial Policies for Catching-up Economies (Nowa Ekonomia Strukturalna dla gospodarek doganiajÈcych). 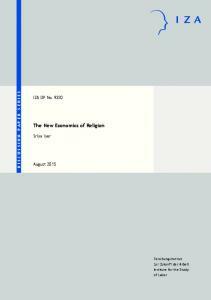 In: I.Y.bLin, A.Z.bNowak (eds. 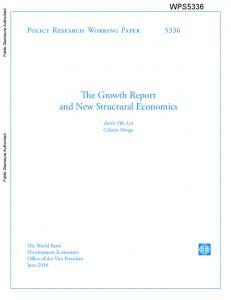 ), New Structural Economics for less advanced countries (Nowa Ekonomia Strukturalna wobec krajów mniej zaawansowanych). Warsaw: University of Warsaw, Faculty of Management Press. Robinson, J.V. (1937). Introduction to the Theory of Employment. London: Macmillan. Wikipedia. (2017). Polski Fundusz Rozwoju. Taken from: https://pl.wikipedia.org/wiki/Polski_ Fundusz_Rozwoju. Prezentowany artykuï skïada siÚ z dwóch czÚĂci. W pierwszej – podjÚto próbÚ usytuowania koncepcji Nowej Ekonomii Strukturalnej (NES) w ramach tradycyjnej polityki makroekonomicznej pañstwa, czyli polityki fiskalnej i monetarnej. Gïównym problemem w tym przypadku okazujÈ siÚ ograniczenia w ekspansywnoĂci polityki fiskalnej i monetarnej z punktu widzenia ich negatywnych skutków inflacyjnych oraz moĝliwoĂÊ finansowania przez pañstwo ze Ărodków pozabudĝetowych prorozwojowych inicjatyw. W czÚĂci drugiej, za pomocÈ opisu rozwoju gospodarki polskiej w latach 1990–2016, starano siÚ odpowiedzieÊ na pytanie: w jakim stopniu i zakresie w owym rozwoju byïa wykorzystana (Ăwiadomie bÈdě nieĂwiadomie) koncepcja NES? WynikajÈca z tej koncepcji polityka przemysïowa mogïa byÊ bowiem realizowana dziÚki wsparciu finansowemu Unii Europejskiej (UE), wykorzystaniu idei specjalnych stref ekonomicznych (SSE) oraz kapitaïowych funduszy publicznych typu venture capital (KFP). Sïowa kluczowe: Nowa Ekonomia Strukturalna (NES), strukturalna polityka gospodarcza (SPG), polityka monetarna, polityka fiskalna, Unia Europejska (UE), specjalne strefy ekonomiczne (SSE), kapitaïowe fundusze publiczne venture capital (KFP). Wykïad zostaï wygïoszony 30 stycznia 2017 r. na Wydziale ZarzÈdzania Uniwersytetu Warszawskiego przy ul. Szturmowej 1/3 w Warszawie. ByÊ moĝe jest jednak tylko problem lingwistyczny w jÚzyku polskim. TwierdzÚ to z caïym przekonaniem, bÚdÈc w swoim czasie doradcÈ Ministra Gospodarki do zakïadania SSE. Potwierdza to m.in. teza wygïoszona przez byïego Prezesa ZarzÈdu NBP, Marka BelkÚ, na konferencji katedr finansowych uczelni polskich we wrzeĂniu 2016 r.: „Polityka monetarna baku centralnego jest o tyle skuteczna, o ile wspiera ekspansywnÈ politykÚ fiskalnÈ”. surowców moĝe mieÊ demoralizujÈcy wpïyw na rozwój dwóch pierwszych czynników wzrostu. noĂci kontynuacji programów rzÈdowych. W tych warunkach naleĝy szukaÊ pozabudĝetowych ěródeï finansowania SPG. Jak postaram siÚ wykazaÊ, mogÈ to byÊ Ărodki Unii Europejskiej, wspomniane wczeĂniej SSE oraz kapitaïowe fundusze publiczne. Krokiem milowym w umiÚdzynarodowieniu gospodarki i w realizacji strukturalnej polityki gospodarczej byïo przystÈpienie Polski w roku 2004 do Unii Europejskiej (UE). Po akcesji (2004–2006) polska gospodarka wykorzystaïa okoïo 10 mld EUR. Strumieñ Ărodków europejskich znacznie poszerzyï siÚ w latach nastÚpnych. W latach 2007–2013 podmioty polskiej gospodarki w ramach krajowych i regionalnych programów operacyjnych i dotacji w ramach Wspólnej Polityki Rolnej uzyskaïy 90 mld EUR. JednoczeĂnie suma wniesionych skïadek do budĝetu UE wyniosïa wb tym okresie 22 mld EUR. W tym okresie polska gospodarka zostaïa zatem zasilona kwotÈ okoïo 68 mld EUR netto (CieĂlak-Wróblewska, 2017). Stanowi to 50% wydatków budĝetu pañstwa w roku 2015 i okoïo 1,9% Ăredniorocznego PKB wbcaïym tym okresie. PieniÈdze te zostaïy zainwestowane przede wszystkim w: infrastrukturÚ podstawowÈ (gïównie transportowÈ) – 60%; wsparcie sektora przedsiÚbiorstw – 23% oraz w rozwój zasobów ludzkich – 10%. Skala pomocy europejskiej i kierunki jej wykorzystania w istotny sposób uzupeïniajÈ skromne wydatki budĝetu pañstwa na cele rozwojowe, zgodne z koncepcjÈ NES. To cenne dla rozwoju gospodarki ěródïo na razie nie wysycha. W perspektywie lat 2014–2020 w ramach europejskiej polityki spójnoĂci Polska ma do dyspozycji 82,5b mld EUR. Naleĝy mieÊ nadziejÚ, ĝe Ărodki te zostanÈ wykorzystane w sposób jeszcze bardziej efektywny dla przyĂpieszenia rozwoju gospodarczego wbramach Strategii na rzecz Odpowiedzialnego Rozwoju. MoĝliwoĂÊ wykorzystania tych zewnÚtrznych i bezzwrotnych ěródeï finansowania nie powinna jednak osïabiaÊ kreowania i zaangaĝowania wewnÚtrznych ěródeï w finansowanie rozwoju. Dalsza obecnoĂÊ Polski w Unii Europejskiej zaleĝy od kluczowej decyzji zwiÈzanej z przystÈpieniem naszego kraju do strefy euro. Do 2008 roku przeszkodÈ byïo niespeïnianie wszystkich kryteriów z Maastricht. Aktualnie kryteria te sÈ speïniane, jednak istniejÈ opory, gïównie natury politycznej, zwiÈzane z kryzysem zadïuĝeniowym niektórych pañstw tej strefy i z unijnym kryzysem imigracyjnym. Z punktu widzenia moĝliwoĂci realizacji w przyszïoĂci strukturalnej polityki gospodarczej przystÈpienie do strefy euro wydaje siÚ korzystne. Strefa euro to nie tylko wspólna waluta, eliminujÈca ryzyko walutowe w handlu miÚdzy krajami strefy, lecz takĝe wspólna polityka pieniÚĝna, która jak dotychczas byïa bardziej ekspansywna. Naleĝy sÈdziÊ, ĝe tak bÚdzie w przyszïoĂci, gdyĝ Polska przestanie byÊ maïÈ gospodarkÈ otwartÈ, która zachÚca inwestorów zagranicznych wzglÚdnie wyĝszymi stopami procentowymi, a stanie siÚ czÚĂciÈ duĝej gospodarki europejskiej, która ma wpïyw na wartoĂÊ dïugu publicznego, która obniĝyïa siÚ do 50,2% PKB. OFE nie mogïy inwestowaÊ póěniej w obligacje skarbowe, skïadki ubezpieczonych zostaïy zapisane na ich indywidualnych rachunkach w PFE, natomiast od 2017 roku OFE zostanÈ przeksztaïcone w prywatne fundusze emerytalne (PFE), wpïaty skïadek stanÈ siÚ zaĂ dla pracowników dobrowolne. kurs wïasnej waluty. Powstanie równieĝ moĝliwoĂÊ korzystania z wspólnego budĝetu unii walutowej, który niewÈtpliwie powstanie. Pierwsza specjalna strefa ekonomiczna (SSE) powstaïa w Polsce w 1995 roku wbMielcu. Doradcami przy jej tworzeniu byli zarzÈdzajÈcy pierwszÈ SSE na Ăwiecie, powstaïÈ w Shannon7 (Irlandia). Do koñca lat 90. wyksztaïciïo siÚ w Polsce 14 SSE, które dziaïajÈ do dzisiaj. Èczna powierzchnia terenów wydzielonych na dziaïalnoĂÊ SSE wyniosïa na koniec 2015 roku blisko 20 tys. ha. Pierwotnym celem zakïadania SSE byïa aktywizacja gospodarcza regionów w sposób szczególny dotkniÚtych upadïoĂciÈ lub likwidacjÈ duĝych przedsiÚbiorstw pañstwowych, a pierwszym spodziewanym efektem – spadek bezrobocia w regionie. Gïównym przywilejem inwestorów w utworzonych strefach jest zwolnienie od podatków CIT i od nieruchomoĂci. Poza tym strefy oferujÈ: w peïni przygotowane tereny inwestycyjne po konkurencyjnych cenach; moĝliwoĂÊ zakupu lub dzierĝawy istniejÈcych na terenie strefy nieruchomoĂci; know-how oraz darmowÈ pomoc ze strony zarzÈdcy SSE formalnoĂciach itp. Dane o makroekonomicznych skutkach dziaïania SSE sÈ niestety trudno dostÚpne ibwyrywkowe. Wedïug danych firmy consultingowej Colliers International, na koniec 2015 roku zatrudnienie w SSE wynosiïo blisko 300 tys. osób, co stanowiïo blisko 2% zatrudnionych w Polsce. Skumulowane nakïady inwestycyjne wyniosïy tam blisko 28 mld EUR, co stanowiïo w skali roku od 2 do 6% wartoĂci inwestycji ogóïem ib20–30% bezpoĂrednich inwestycji zagranicznych. W SSE inwestowali przede wszystkim inwestorzy zagraniczni – 80% (w tym: Niemcy 19%; USA 12%; Holandia 12%) oraz krajowi – 20%. WĂród inwestorów zagranicznych dominowali: GM Manufacturing Poland (USA), Volkswagen Poznañ (Niemcy), Toyota Manufacturing Poland (Japonia) (Colliers International, 2016). Moĝemy zatem stwierdziÊ, ĝe SSE byïy i sÈ dodatkowym magnesem przyciÈgajÈcym inwestorów zagranicznych ibakceleratorem inwestycji krajowych. Polski Fundusz Rozwoju (PFR) zostaï utworzony w 2016 roku jako spóïka Skarbu Pañstwa i Banku Gospodarstwa Krajowego (BGK). BGK jest jedynym pañstwowym bankiem komercyjnym, za pomocÈ którego rzÈd realizowaï swoje programy socjalne w sektorze bankowym (np. stypendia studenckie, dopïaty do oprocentowania kredytów mieszkaniowych). Utworzenie PFR Ăwiadczy m.in. o wïÈczeniu tego banku do realizacji programów rzÈdu w ramach jego SPG. Skarb Pañstwa jest równieĝ strategicznym wïaĂcicielem w najwiÚkszym polskim banku PKO BP SA i poĂrednio w, drugim co do wielkoĂci banku, PeKaO SA. PFR kontynuuje i wzmacnia dziaïanie powstaïych wczeĂniej: Agencji Rozwoju Przemysïu (ARP), Korporacji Ubezpieczeñ Kredytów Eksportowych (KUKE), Polskiej Agencji Inwestycji i Handlu (PAIiH) oraz Polskiej Agencji Rozwoju PrzedsiÚbiorczoĂci (PARP). SÈ to fundusze publiczne typu private equity (ARP) wspierajÈce innowacyjnoĂÊ, przedsiÚbiorczoĂÊ i eksport polskich przedsiÚbiorstw. PiszÈcy te sïowa wspóïpracowaï z doradcÈ jako partner polskiej firmy consultingowej. WĂród zadañ PFR znajdujÈ siÚ: finansowanie na zasadach komercyjnych oraz wspóïpracy przy przygotowaniu i dystrybucji programów, w których wystÚpujÈ luki; prowadzenie programów rozwojowych dostosowanych do potrzeb biznesu (przedsiÚbiorstw i inwestorów na terytorium Polski), konsumentów oraz pañstwa (jednostek samorzÈdu terytorialnego). Ze wzglÚdu na relatywnie niskie kapitaïy wïasne PFR i innych prorozwojowych agencji pañstwowych (kapitaï akcyjny PFR wynosi 0,3 mld EUR) efekty makroekonomiczne ich dziaïalnoĂci nie mogÈ byÊ jednak zbyt wysokie. NajwiÚksze inwestycje PFR to: udziaï w odkupieniu od Unicredit banku PeKaO SA. ; zapowiedziane w 2017 roku inwestycje w finansowanie start-upów (0,25 mld EUR) oraz inwestycje w unowoczeĂnianie polskiej energetyki (1,2 mld EUR). DziaïalnoĂÊ PFR i innych prorozwojowych agencji pañstwowych w istotny sposób uzupeïnia prorozwojowe wydatki budĝetu pañstwa, jednak gïównie w obszarze maïych i Ărednich przedsiÚbiorstw. RzÈd liczy równieĝ na wspóïudziaï kapitaïu chiñskiego w sfinansowaniu duĝego projektu budowy centralnego lotniska przesiadkowego w okolicach Warszawy w ramach odbudowy przez ten kraj dawnego jedwabnego szlaku. KonkludujÈc drugÈ czÚĂÊ artykuïu, pragnÚ przytoczyÊ fakty ĂwiadczÈce o wzroĂcie gospodarki polskiej w okresie jej transformacji (Górski, 2015, s. 37). W okresie 1993–2015 Ărednioroczne tempo wzrostu gospodarczego w Polsce wynosiïo 4,1%. Co warto podkreĂliÊ, w ĝadnym roku nie odnotowano ujemnej stopy wzrostu (recesji). Stopy wzrostu gospodarczego wahaïy siÚ w przedziale: od 7,0 w 1995 roku do 1% w 2001 roku. Takie tempo wzrostu gospodarczego umoĝliwiïoby gospodarce polskiej podwojenie jej PKB w okresie 18 lat, a w analizowanym okresie polskie PKB wzrosïo o 153%. Efekt doganiania jest równieĝ widoczny. Polskie PKB per capita wynosiïo w 2008 roku 55% Ăredniego PKB per capita w Unii Europejskiej, natomiast w 2015 roku – 69%, z czego 8,9 pkt. proc. eksperci NBP przypisujÈ wykorzystanym Ărodkom unijnym. Szacunki te nie uwzglÚdniajÈ dïugotrwaïych efektów infrastrukturalnych obniĝajÈcych koszty transakcyjne w przyszïoĂci. Polska znalazïa siÚ na 23 miejscu w rankingu gospodarek o najwyĝszym poziomie PKB, co znalazïo wyraz w zaproszeniu premiera polskiego rzÈdu, po raz pierwszy w historii, na spotkanie szczytu G-20 w Hamburgu, w lipcu 2016 roku. Bibliografia ChÈdzyñski, M., Osiecki, G. (2017). Nasze bardzo socjalne pañstwo. Dziennik Gazeta Prawna, 25 kwietnia. CieĂlak-Wróblewska, A. (2017). Szybszy rozwój dziÚki unijnemu wsparciu. Rzeczpospolita, 25 kwietnia. Colliers International. (2016). Potencjaï inwestycyjny. Specjalne Strefy Ekonomiczne w Polsce. Pozyskano z: http://www.colliers.com/pl-pl/-/media/files/emea/poland/reports/2016/ Colliers_Raport_Specjalne_Strefy_Ekonomiczne_PL.pdf. Cukiernik, T. (2007). Prawda i faïsz o dotacjach z UE. Pozyskano z: http/tomaszcukiernik.pl. Górski, M. (2015). Makroekonomiczne skutki polityki fiskalnej i monetarnej w Polsce wb latach 1992–2015. W: A.Z. Nowak (red. ), Gospodarka na rozdroĝu XXI wiek. KsiÚga jubileuszowa z okazji osiemdziesiÈtych urodzin Profesora Kazimierza Rycia. Warszawa: Wydawnictwo Naukowe Wydziaïu ZarzÈdzania UW. Lin, J.Y. (2017). Nowa Ekonomia Strukturalna dla gospodarek doganiajÈcych. W: J.Y.bLin, A.Z.bNowak (red. ), Nowa Ekonomia Strukturalna wobec krajów mniej zaawansowanych. Warszawa: Wydawnictwa Naukowe Wydziaïu ZarzÈdzania UW. Robinson, J.V. (1937). 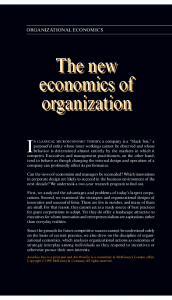 Introduction to the Theory of Employment. London: Macmillan. Wikipedia. (2017). Polski Fundusz Rozwoju. Pozyskano z: https://pl.wikipedia.org/wiki/Polski_Fundusz_Rozwoju. Report "Macroeconomic conditions for New Structural Economics the case of Poland"